Nexus365’s TEAMS application has, to date, been predominantly targeted at the Windows desktop. Other operating systems have had access to limited functionality via a web browser but the inability to video-conference, share desktops or applications, or to give presentations has limited the usefullness of the feature for Linux users. Forcing users to boot a Windows VM simply for a meeting, to send emails, or to collaborate with colleague is far from an ideal solution. Things are, thankfully, improving. There is yet to be an official Teams client for Linux but in the interim additional functionality is now available, albeit with some preparatory effort. By using a Chromium -based browser, tweaking a few settings , and installing a single browser extension, you can achieve near-parity with the full Windows Teams client. This will allow in-private video calls, presentations, and other functions not previously possible for Linux users. This should be considered as a beta, or a work-in-progress, rather than a permanent well-tested solution. Microsoft are asking the Linux community to feed back and are promising to make further updates based on those responses. Ensure you have either Chrome for Linux, or a Chromium for Linux browser. Install the following extension from the Google Webstore: User Agent Switcher for Chrome. Click the User Agent Switcher and choose your Edge browser string. This should remain selected until you change it to something else or back to the browser default. – Open Microsoft Teams in your browser. – Start a private chat with someone and verify that the video chat icon switches from grey to purple and white. If so, you can start making video calls and you should also be able to make a presentation. These same settings should also enable the same functionality on other operating systems, although naturally those cannot be assumed to have received any testing. While you can use the EDGE UA to participate in Conference calls it may cause issues with not displaying the most current posts in a TEAMS channel. So you may have to switch between the EDGE UA and the browser default UA. A number of Nexus users have recently logged support tickets with the Service Desk regarding a repeating cycle of logon authentication requests in Outlook. Similarly affected users may receive an error stating ‘You need the internet for this’ even when they are self-evidently connected and online. Investigation has shown that – generally but not exclusively – this seems to affect users running versions of Office downloaded from the Nexus365 portal, and who are running Windows 10 as their operating system. Under Settings>Accounts>Access Work or School, remove any reference to an OnTheHub or personal Microsoft account. Ensure that your local firewall, antivirus software, and/or Windows Defender are not blocking processes that engage in authentication token acquisition. Removing stored accounts from Credentials Manager, and rebuilding Outlook’s profile may also help. The fifth most-requested feature for Teams is a client for Linux. This simple request has garnered over five thousand votes since it was first posted two years ago. 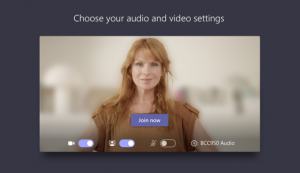 Since Microsoft are slowly moving away from Skype clients, pushing communications functions into the Teams application, this will clearly become more of an issue as time goes on. In the current documentation Microsoft state that Meetings work on Chrome 59 (and later). Firefox users are effectively being told that they should replace their browser. 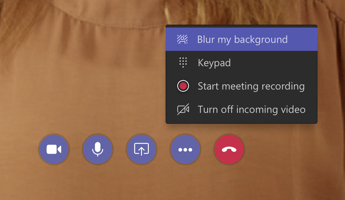 There is a convoluted work-around to permit video calls and presentations to work but it’s very much a fudge: it effectively persuades the server that you’re running the Edge browser. However, as of yesterday, it seems that there may be a hint of progress. Some engineering time may even be being allocated to resolving these issues. In a tweet yesterday Microsoft’s Suphatra Rufo gave a hint that there may be progress. Apple have never been as clear as Microsoft regarding the timeline over which their software will be officially supported. However as a general rule the current version of the operating system, and the one immediately preceding it, can be considered officially supported. When dealing with Microsoft Office apps on iOS Microsoft are now following that premise. Word, Excel, PowerPoint and OneNote are no longer supported for Office app updates on devices running iOS 10 (or earlier versions of iOS). In November support for Outlook will also cease for those versions of iOS. These Office apps will continue to work, albeit officially unsupported and without further updates. Once the device is updated to iOS 11 (or later), Office apps will then resume receiving updates and patches. Users should be made aware that, if no action is taken to keep their operating system current, Outlook for iOS will eventually stop synchronising email and calendar data. 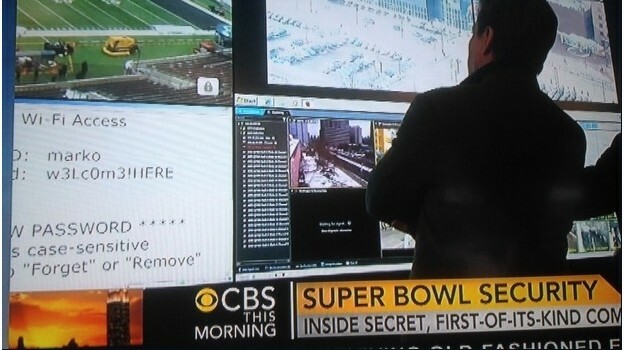 Furthermore all Office apps will stop receiving feature and security upgrades. Best advice is always to ensure your operating system is current to minimise exposure to security vulnerabilities. This will also ensure your Office programs continue to work securely too. We’ve had reports from some Nexus users that Outlook 2016 can appear to hang while trying to make a connection to our Exchange servers. The reported delay is between thirty and forty seconds, after which the connection is established and normal service resumes. People who have stayed on Outlook 2013 don’t generally encounter this issue, but if they do they can easily resolve it by tweaking settings. Here is what’s going on: the Exchange 2010 Autodiscover service tells the client to try a regular RPC/TCP connection before resorting to a RPC/HTTP connection. In Outlook 2013 there is an option in the program’s settings: ‘On fast networks, connect using HTTP first, then connect using TCP/IP’. This setting resolves the issue (and these days ‘fast network’ means any connection that’s faster than dial-up). What can the Nexus Team do about this? There is an option of mandating all Nexus client connections to use HTTP first. This is a server-side setting we can apply. However this has an adverse effect for everyone who doesn’t use Outlook. For us, that’s a lot of people. We have had to rule out that solution. The longer-term solution is to migrate our users to Nexus365, since that will effectively bring the servers you are connecting to bang up to date. Pilot migrations begin next month. The recommendation for University IT Support Staff is to use Group Policy to resolve this wherever possible – the policy settings that are equivalent to Outlook 2013’s tickboxes still exist. Microsoft may have removed the interface to see them in Outlook 2016 but the configuration can still be made, albeit via a circuitous route. Enabling ‘flag 4’ is equivalent to ticking the checkbox in Outlook 2013 for using HTTP first. Add a DWORD value of ‘ProxyServerFlags’ with a decimal value of 47. Note that because this is a current-user setting you will also need to apply it for other users of the same PC. If the problems persist, for multiple users, please verify that your DNS settings are correct for autodiscover to successfully resolve your unit’s subdomain. Even after all these years since Nexus went into service we still find occasional pockets of users putting up with slower-than-needed lookups and configuration challenges which are avoidable with autodiscover set correctly.